Autodesk seems very serious in developing mobile and cloud apps. 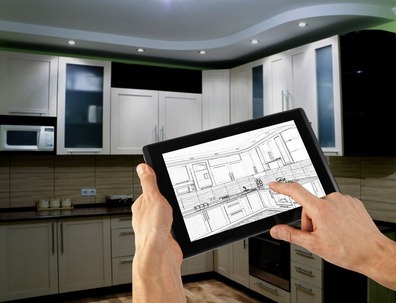 If you already use Autodesk 360 and AutoCAD 360 mobile apps, you will like this one. 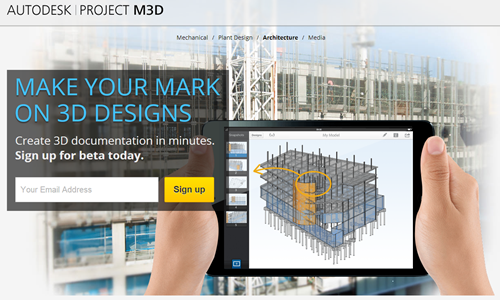 Autodesk is currently working with Project M3D. They will release the beta version soon. If you are interested to try involve, you can sign up now. Project M3D allows you to open and edit 3D models, create 3D views, markup and share the markup. Autodesk 360 mobile apps allows you to view 3D models in Autodesk 360. But you can only view the model. This mobile app can do further. Just like you, I haven’t tried it yet because the beta isn’t released yet. If you sign up now, you will be notified when you can use the beta. You can read more about the beta project here. Don’t forget to provide feedback. That’s the purpose of beta project: they want to know what you think! I want to help you. Please help me. I am interested in a certificate or diploma from Autodesk Revit Architecture software to get. I'm living in Iran. Please advice what would be the best route for Revit Architecture certification.